Keswick Mountain Rescue Team was alerted about 5.50pm on Thursday as members were gathering for a training session. The 17-year-old had recovered consciousness but was complaining of feeling dizzy. A team spokesperson said: “A Land Rover and a Sprinter were sent to the scene near Rigghead Quarries above Rosthwaite. 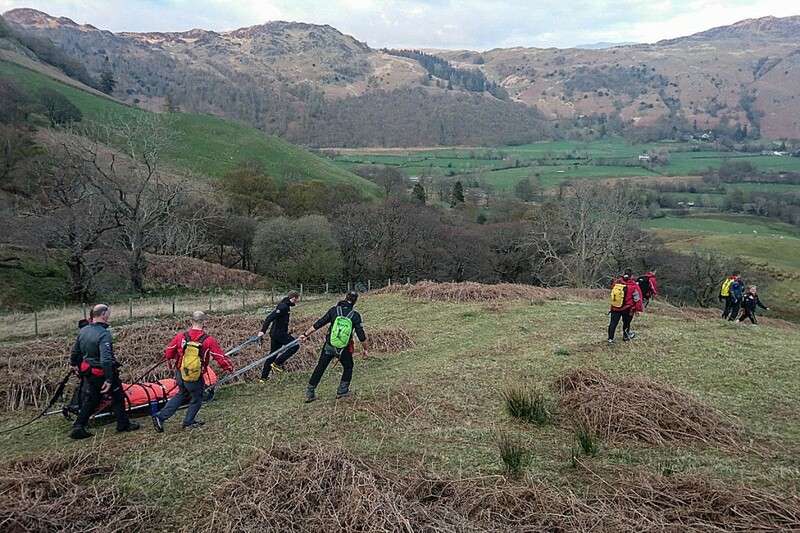 The rescue operation lasted just over two hours and involved 20 Keswick MRT volunteers. As the rescue was concluding the team was alerted to another incident on the slopes of Ullock Pike in the northern fells. The spokesperson said: “Just before the first team returned to base we had a second callout on what should have been our practice night. A second team Land Rover set off followed shortly afterwards by the vehicle returning from the earlier incident. 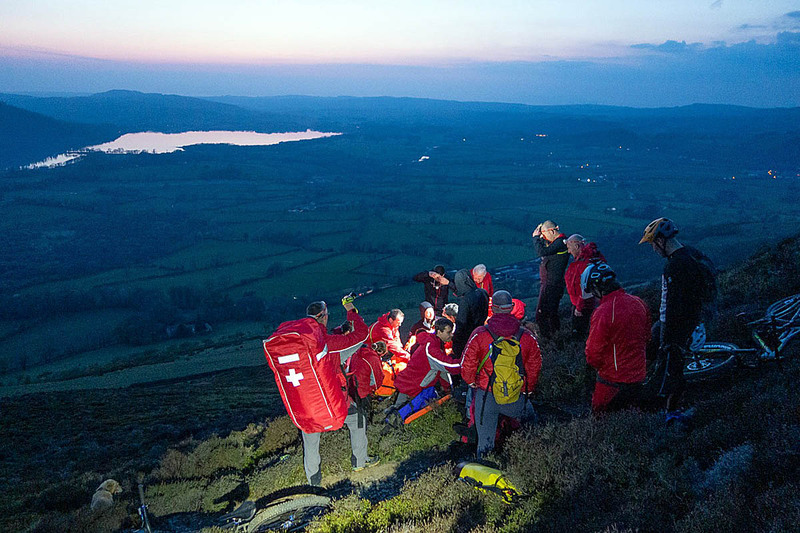 The spokesperson said: “The team approached from near the Ravenstone Hotel up on to the lower slopes of Ullock Pike where we found the local mountain biker lying amongst the heather in considerable pain but remarkably stoic. The two-hour rescue again involved 20 team volunteers. So the mountain biker was cycling on a footpath?